Contact Us Now For A Custom Shipping Quote. Please fill out and submit this form with your shipping information and we will contact you right away! 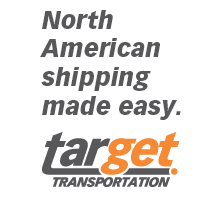 Target transportation offers complete shipping logistics from start to finish. We understand how important it is for your shipment to reach its destination; and time is of the essence. Target Transportation takes care of the logistics required to make this happen when you need it. Target Transportation covers everything you’ll need to get your shipment fulfilled from start to finish. Let us be your single source for shipping logistics, to make everything as easy as possible. With our complete shipping logistics services, you can feel completely at ease knowing your shipment is on its way. Target Transportation provides shipping services you can trust and rely on.